Mane and Tail Growth Supplements can help accelerate the growth of your horses mane and tail by several times! 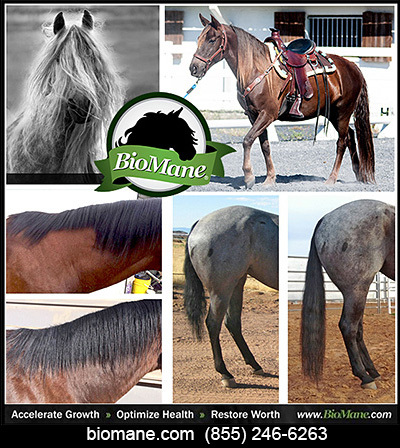 Everyone wants to know HOW to GROW a long mane and tail for their horses and proper supplements can help horses grow a mane or tail when they have previously been struggling to do so. Products to grow your horses mane or tail and information on what to feed your horse so that they can experience a long mane and tail is right here. Make sure you have supplements to grow a healthy mane and tail for your horse as it will increase the value and beauty of the horses you love!